In world terms, Americans, just by virtue of living here, are among the wealthiest five percent of people in the world. Most of us probably don’t feel rich! Yet it’s hard for us not to feel the sting of James’s uncompromising words about money. The problem, James says, is not money per se, but our attitude toward it. Instead of asking, “How much of God’s money do I get to keep for myself?” we should instead ask, “How much do I get to give away?” This sermon helps us think about money in a new way. 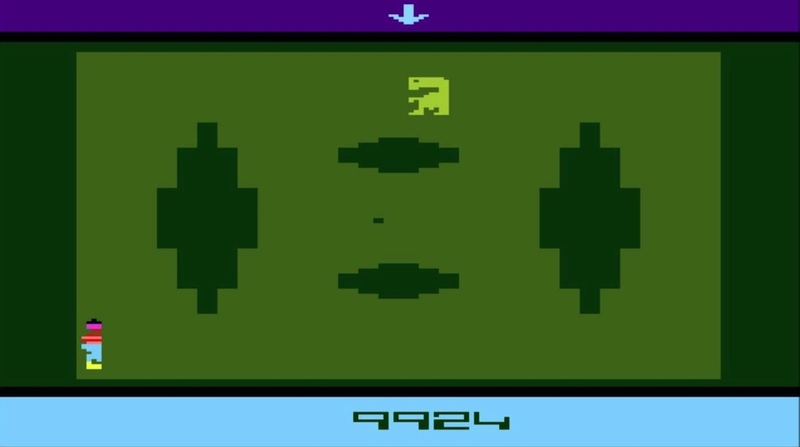 When I was a kid, Atari was the number one name in video game consoles, and in 1983, Atari developed a game based on Steven Spielberg’s E.T. the Extra Terrestrial, which at the time was the biggest box-office hit of all time. Atari anticipated that the video game would be equally successful, and they manufactured tons of these game cartridges. But Atari’s E.T., based on the most successful movie of all time, became the biggest video game flop of all time. I remember word getting around my elementary school like the day after the game came out: my classmates were saying, “The E.T. game stinks! Don’t buy it!” And very few people did. 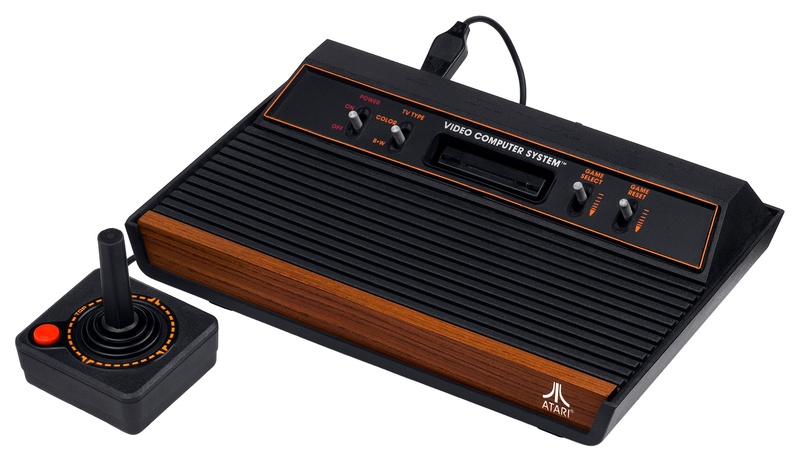 So Atari had about a million unsold game cartridges on their hands, and—according to one rumor—they buried them in a landfill in the New Mexico desert. For 30 years, many people just dismissed this rumor as an urban legend. Until last week… Curious video game enthusiasts paid money to dig up that landfill and see if they could find these alleged video game cartridges. And, sure enough, they did. When I was a kid, the latest video games seemed so important to own. And now, like all these unloved and discarded E.T. cartridges, every single video game that I ever owned as a child is now buried in a landfill somewhere. Was that stuff really so important and necessary? And I’m not criticizing kids who like video games… We adults have our own toys that we cherish—most of which will likely also end up in a landfill at some point in the future! What does that say about the true value of so many things that we treasure? So I feel like James is stepping on my toes when he says, “Come now, you rich, weep and howl for the miseries that are coming upon you… You have lived on the earth in luxury and in self-indulgence. You have fattened your hearts in a day of slaughter.” Am I not relatively rich? Don’t I live in relative luxury? Isn’t my lifestyle often self-indulgent? I don’t know about you, but whenever I get extra money—a bonus, a raise, a gift card—my first thought is usually, “What can I do with this? How can I spend this?” And there’s usually something on my amazon.com wish list—some small luxury item, perhaps—that I’ve been putting off purchasing and now I can! But it’s not the mere fact that we have money, and wealth, and possessions. In a way, James is making a similar point to the one he made last week when he was talking about planning for the future. There’s nothing wrong with making plans for the future, so long as our plans leave room for God’s plans. So long as we remember that God is ultimately in charge of our future, and not us. The problem is not planning for the future; the problem is our attitude toward the future. And so it is with money and wealth. Our attitude is the problem. 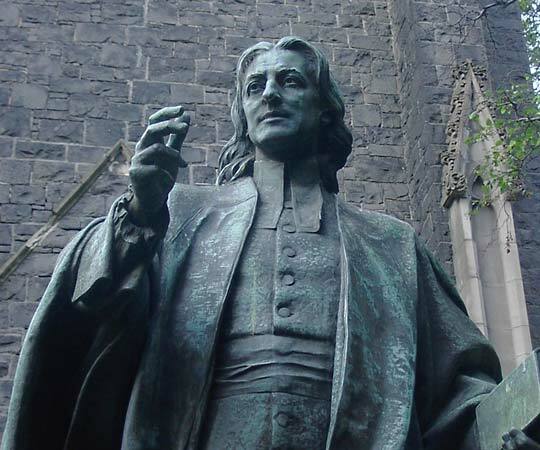 John Wesley preached a famous sermon on the topic of money, and he began it in a very surprising way: he wanted to assure us that there’s nothing whatsoever wrong with money! He reminds us that the Bible says that the love of money is the root of all evil, but not money itself. In fact, Wesley sings the praises of money for all the good uses to which it can be put in the world. Like feeding the hungry, clothing the naked, providing for widows and orphans. Giving health and easing pain. No, money is potentially very good. And Wesley gives us three famous rules about using it: The first rule about money is one to which most of us Americans can relate: Make as much of it as you can! And we’re like, “Yay, John! Preach” [thumbs up] He sounds like a regular Warren Buffett, or Bill Gates, or Donald Trump! He says that it’s our God-given duty to make as much money as possible—as long as we can do so without sinning, without harming ourselves or others, in the process. He even says that we should improve our job skills—get better at our jobs—so we can make even more money! And all that sounds nice and easy and very American. We’re all for that! Gain all the money you can, he says. We will, John! Thanks for the tip! The second rule is also pretty sensible: Save all the money you can. He doesn’t mean “save it” as in putting as much of it as you can into a savings account, or a 401(k), or a mutual fund. He means don’t waste money. Be thrifty. Spend it wisely. We’re probably not as good at living out this second rule as the first one, but we can still get behind it. It’s the third rule that drives us nuts. See, Wesley says we gain all the money we can, and save all the money we can for one important reason: So that we can give all the money we can. And Wesley meant this quite literally: Wesley started this Methodist renewal movement and became very popular throughout England. He sold a ton of books, magazines, and tracts in his lifetime. He was raking in the dough—but, except for the small amount he kept to maintain his modest lifestyle, he gave it all away. Reminds me of the story of the Rich Young Ruler in the Gospels: This very wealthy young man comes to Jesus and asks what he must do to inherit eternal life. And Jesus tells him to keep the Ten Commandments, and he’ll be fine. But the man said that he had done that all his life. And Jesus said there’s only one more thing that he needed to do in order to have eternal life: sell all of his possessions, give the proceeds to the poor, and then come and follow Jesus. And of course the man couldn’t do that—he was rich; he couldn’t bear to part with his possessions. And we read this story and we’re like, shame, shame, shame on the Rich Young Ruler! Oh, please! I often think the only difference between the Rich Young Ruler and myself is that—fortunately for me—Jesus never asked me to sell everything and give the money to the poor. Could I do it? I don’t know. Similarly, we might read today’s scripture and think, “Hmm… James is speaking to Christians who’ve enjoyed treasure on earth, who’ve lived lives of luxury, who’ve lived self-indulgently—and he warns them that unless they repent of this sin they are bound for hell. I hate to sound like a Baptist, but, you know… It’s right there in the text! And so, like the Rich Young Ruler, we read these severe words and wonder: “Where’s the line? How much is too much? How many cars can I own? How big of a house can I have? Can I invest in a vacation home?” And here’s the thing: James doesn’t say how much is too much. He doesn’t tell us where the line is. And I think that’s because there isn’t a line. There isn’t a line… But there is an attitude… there’s an attitude toward money, toward wealth, toward possessions that all of us Christians are supposed to have. Now, remember how earlier in this letter James talked about how faith without works is dead? James wants us not merely to profess faith—remember, even the demons could truthfully recite the Apostles’ Creed. They could intellectually agree that those words are true. But that’s just profession of faith. That doesn’t save us humans any more than it saves the demons. No, James warns throughout the letter that what counts isn’t profession of faith, but possession of faith. Do we possess saving faith? See, it’s not that you have to have faith and then you have to add something else—like good works—on top of that. As if good works are the hot fudge topping on a faith sundae or something. No, you’re saved by faith alone. But if you have saving faith then these good works will naturally follow. Our good works, then, are a sign of whether or not we’re saved. In today’s scripture, James is saying that what we do with our money and possessions is also a good work and a sign of whether or not our faith is genuine. And if we’re not using our wealth for God’s kingdom, if we’re not being faithful to God with our money, then it’s a sign that we’re in trouble. 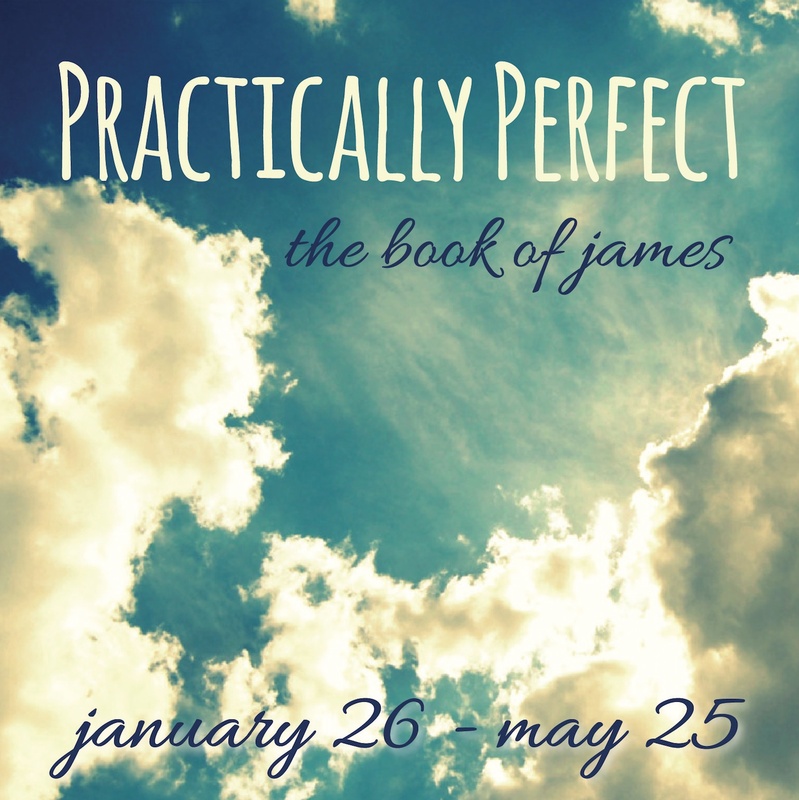 According to James, we may even be on a path that, without repentance, can lead to hell. Brothers and sisters, I would not be faithful to this scripture and to my calling as a pastor if I didn’t warn all of us that if we are not generous with our money—including the money we give to God through this church—then this is a symptom of a potentially serious spiritual problem. But you know this already. If you’re not being faithful in your giving to church, you don’t need me to tell you. Your conscience has probably been telling you for a long time. And you make excuses. And there’s always plenty of good reasons not to give. If so, the Lord calling you to repent. Get right with God when it comes to money! And we have a great opportunity for us to do that… Start with this Plus 10 campaign. If you’re not giving anything to this church—and I don’t know what anyone in the church gives—if you’re not giving anything, then zero plus ten is ten. Start with ten dollars a week, and see what happens. See if you can do that. And then work your way up. But start with ten. And if you’re already giving regularly, then add ten extra dollars to your regular offering. And see what happens. See if you can do that. O.K… I’ve talked enough about the negative message within today’s scripture. Let’s talk about the positive. Let’s now talk about having the right attitude toward money. It’s the attitude Wesley had; it’s the attitude that Jesus wanted the Rich Young Ruler to have. It’s the attitude James wants us to have. The question is not, How much of my money do I get to keep for myself? The question is, How much money can I give away? It’s the attitude that a man named Tracy Fleming has—which he shared with our Methodist Men’s Club last Tuesday in one of the most inspiring testimonies I’ve ever heard. Tracy owns and operates the Chick-fil-A in Lovejoy. He spends his wealth and risks his freedom—if not his very life—working to spread the gospel in China. He described a recent experience he had at a house church in China. He was teaching Paul’s letter to the Philippians to a group of young Christians who were hungry to hear God’s Word. When he finished teaching, he said that dozens of these Christians asked him to pray with them. It made him uncomfortable, he said, because of course he didn’t have any greater access to our heavenly Father than they did. But he knelt with each person and prayed. In each case, he said, they asked him to pray for family and friends who hadn’t yet received Christ as Savior and Lord. As they knelt on the floor in front of him and prayed, tears ran down their cheeks, falling on the floor in front of them. He said he felt convicted because his eyes were dry. There was no pool of tears beneath him. Why were his eyes dry? he wondered. What’s wrong with him? What’s wrong with us? Do we not look around and see that our fields here in Hampton, Georgia, are ripe and ready to be harvested? Do we not know that people are living and dying apart from a saving relationship with God through Christ? Do we not understand the urgency of this mission God has given us? Do we not know that we’re all going to face judgment for how faithfully or unfaithfully we’ve obeyed our Lord in this mission? Friends, in my better moments as a pastor, I really want lost people to be saved. Even more than I want my numbers to look good. Even more than I want to look cool. Even more than I want praise and admiration from you, and from my clergy colleagues, and from my district superintendent, and from my bishop. But, God help me, even in my better moments, my eyes are dry. I want that to change. I want God to break my heart with a heavy burden for reaching unsaved people while God still gives me this life and breath. Will you pray that that happens for me? I’ll pray that it happens to you. In the last verse of today’s scripture, James says, “You have condemned and murdered the righteous one, who does not resist you.” That “righteous one” he’s referring to is Jesus, and he’s saying that this destructive attitude toward money and possessions is the very attitude that put Jesus on the cross. And he’s right… Our sin—all our sin—put Jesus on the cross. My sin put Jesus on the cross. But I like that last part of verse 6: “He does not resist us” when we put him on the cross. Jesus certainly could have resisted. He could have easily avoided the cross—and even after he was arrested and put on trial he was given numerous opportunities to defend himself, to answer his enemies’ false accusations. But he didn’t resist. Why? Because he knew that by going to cross, he was taking our sin—all our sin—upon his shoulders and suffering the penalty that they deserved, dying the death that they deserved, experiencing the hell that they deserved. So that you and I wouldn’t have to. So that you and I could have forgiveness, reconciliation with God, eternal life. Salvation. This entry was posted on	May 10, 2014 at 2:32 pm	and is filed under Uncategorized.